Works well Dave. 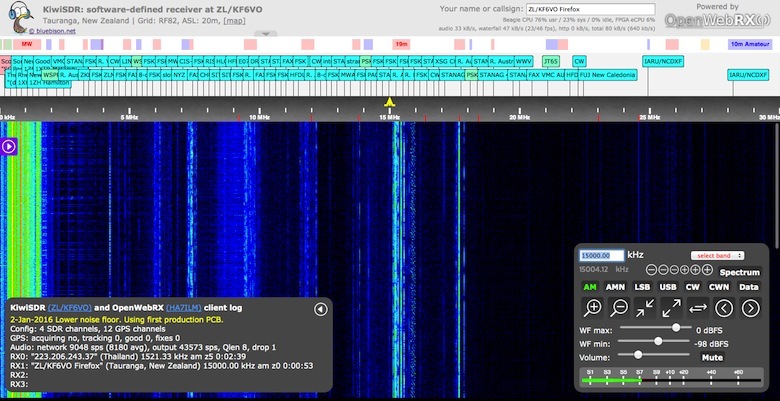 I had a listen on 40m. Used Chrome browser with main PC. Easier with a mouse!! Thanks, pleased its working well. The loop antenna does a great job on HF, even better on LF and VLF. Hi Dave, Your SDR certainly works extremely well. Congratulations. It is nice to be able to monitor stations heard locally, rather than miles away like the Hack Green set-up. Thanks Derek, yes its nice to be able to see the entire HF bands and sometimes just have a listen around before deciding if its worth putting the HF radio on! Hi Dave many thanks for letting us use your KiwiSDR. it works fantastically. I’m a disabled operator (M6ODC) who is waiting for his antenna to be put back up after it coming done for a neighbour to do some hedge work.My equip is Kenwood 570d into signlalink usb as I love digital modes. 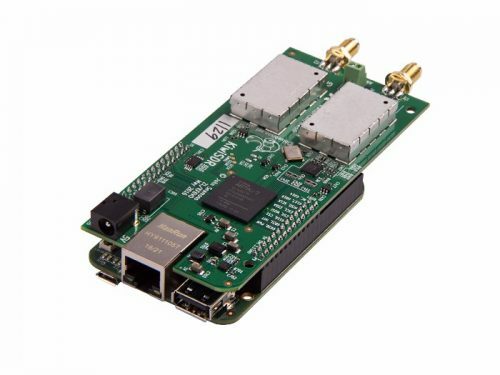 I’m seriously impressed with what the kiwi can do and am seriously thinking about purchasing a sdr like this for times when I cant sit at the pc to operate.